Roasting and freezing peppers provide a handy Foodie tool in the freezer. Frozen roasted peppers flavor soups, stir-fries, casseroles, sauces and so much more! 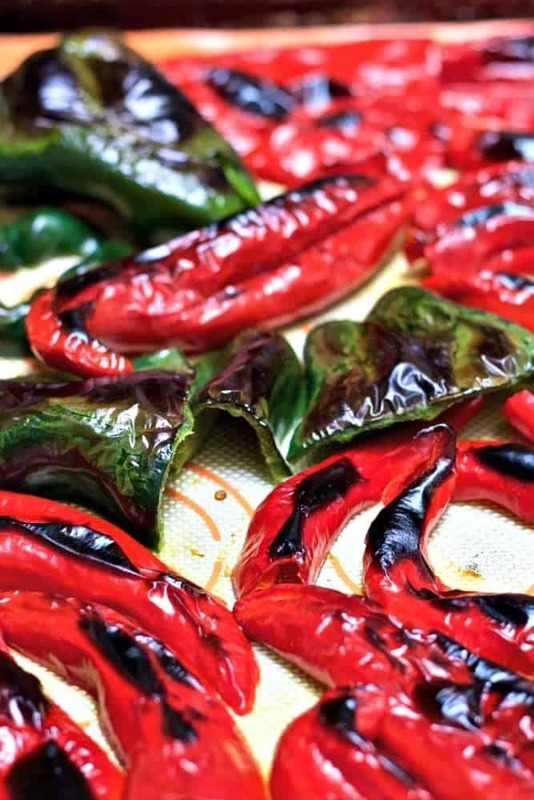 This is a quick tutorial on How to Roast Peppers for the freezer. What a great way to use the harvest! 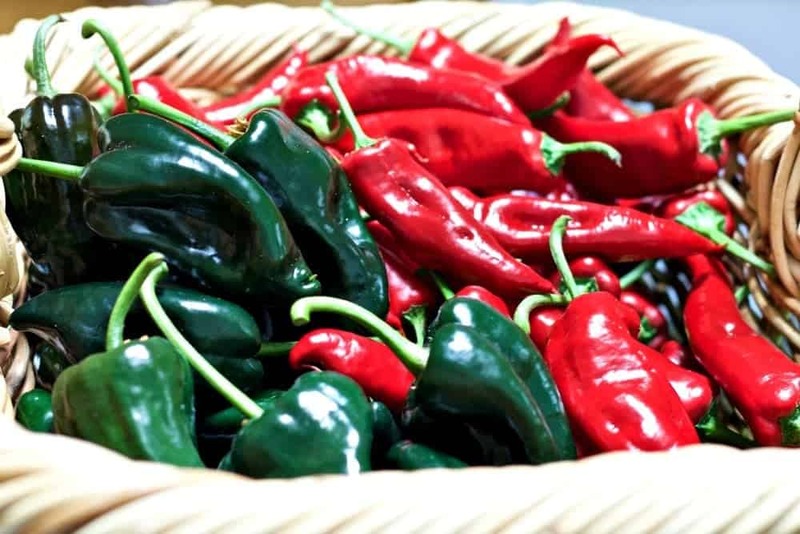 Maybe you buy your peppers in huge quantities for pepper jam and other handy harvest recipes. They make good personal gifts! It’s a good idea to roast some for the freezer too. This is the second year I have roasted and froze peppers. I waited a year to post this tutorial. I wanted to be sure this method will work and hold all year in the freezer. IT WORKS! and we love them. All winter, spring, and summer I whittled down that huge bag of frozen roasted peppers to add extra flavor and zip to soups, stews, and casseroles. I managed to stretch them out until our peppers came ripe this summer. We enjoyed them so much last year I’m roasting and freezing a huge batch again. I put together a quick tutorial on how to roast peppers for the freezer. 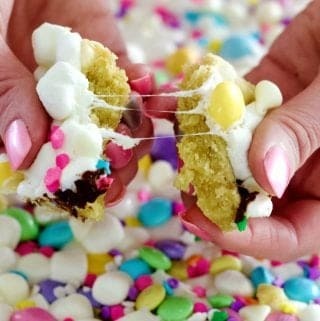 You will want to do this! The smoky roasted peppers add so much to LOTS of recipes. Roasted Pepper Cheese Fondue Sauce, Roasted Red Pepper Sauce, Slow Cooker Harvest Pork Roast Dinner, and so many other fine recipes use roasted peppers to bump up the flavor. Don’t buy roasted peppers in a jar. Condiments like this are so expensive to buy. 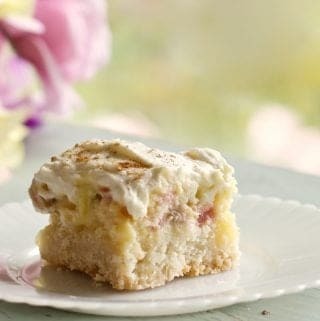 Make your own and keep them handy in the freezer. The varieties I have used are all 2 to 4 on the pepper heat scale. I have never roasted bells or any sweet pepper so I can’t say how they would do. Wash, seed and slice the peppers so they lay flat. Lay the peppers, skin side up on your oiled baking sheet, or a Silpat sheet. Set your oven to broil on Hi. Set the oven timer for 5 minutes. Place the tray of peppers under the broiler and when the skins are blackened and bubbling off the peppers a bit they are roasted! Do NOT cook them. The flesh is to remain firm. Check them after the timer goes off to make sure the skins are blackened and bubbling. This makes peeling the skins off the peppers easy and really ensures a good smoky flavor. NOTE: Some Pepper varieties peel easier than others. The green peppers you see in this tutorial are Tiburons. They are a breeze to peel. The long red Krimson Lee peppers take a lot of extra time and have some waste of the pepper flesh when peeled. So I made a batch of my Roasted Pepper Tomato Soup as I peeled the peppers. I just threw the difficult ones in my soup as I peeled. It made a great soup with toasted cheese sandwiches for lunch. You can use peppers unskinned in some recipes, like my Roasted Pepper Tomato Soup. A Foley food mill (affiliate link) removes the peels for you after the peppers and tomatoes are cooked into soup. 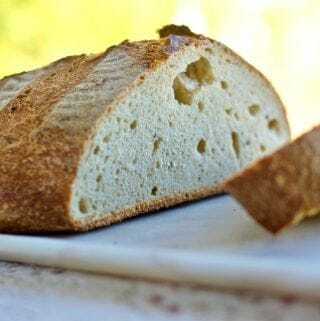 The skins might not bother you in some other recipes with lots of texture. But they will tend to detach from the peppers as the pepper cooks down. And yes, the skins are charred somewhat and tend to leave small charred bits throughout the recipe. It’s handy to keep your peppers frozen in the form easiest to use in any recipe. That’s why I peel mine before I freeze them. Steaming the peppers help loosen the skins for easy peeling. 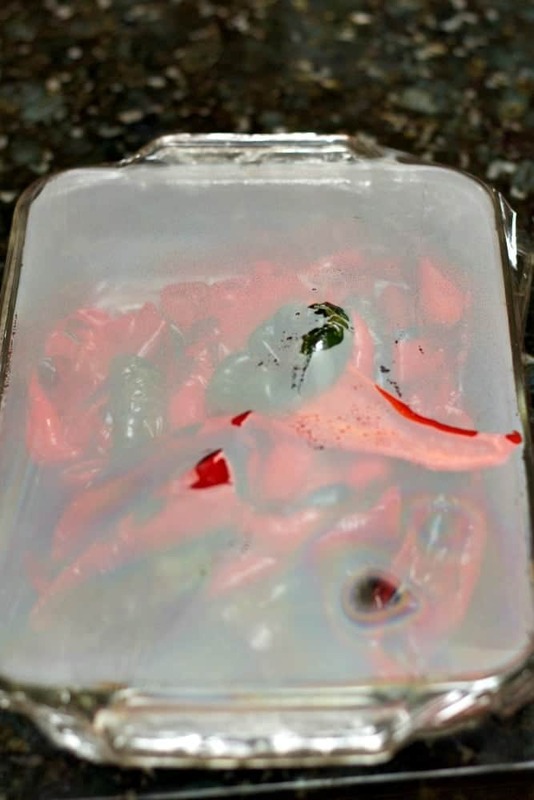 Put the Hot roasted peppers right from the oven into a baking dish and cover them airtight with plastic wrap or any airtight lid. Now, Let them sit at least 15 minutes. Note the pile of skins in the rear. The front piles are all peeled roasted peppers ready to freeze! 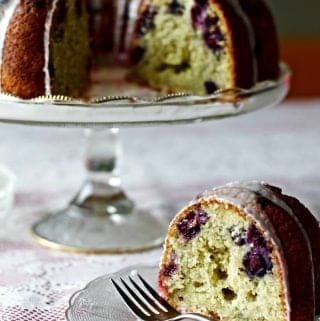 They are so smoky and good! 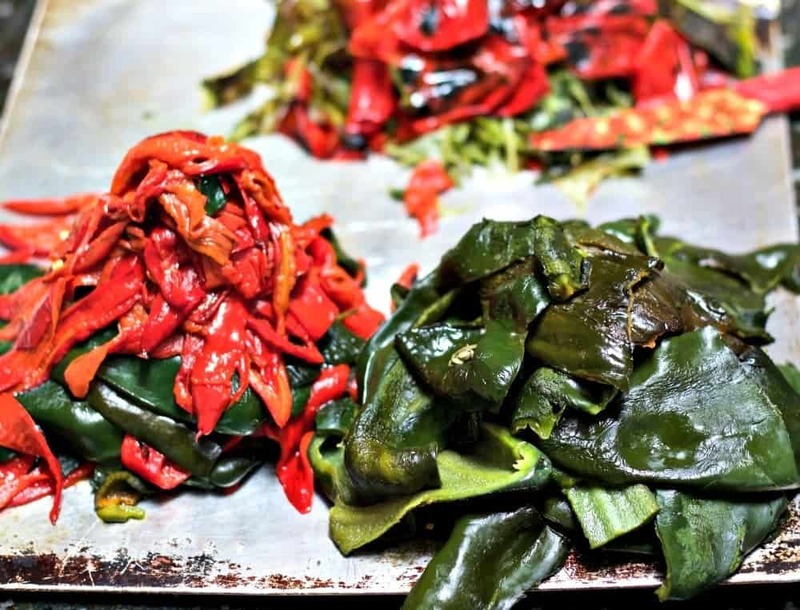 To Peel Roasted, steamed peppers, pick up the peppers where the skin has bubbled off and pull the peel off the pepper flesh. Throw out or compost the skins. This sounds easy, and it is. But it takes some time to do a large batch. Lay out a sheet of plastic wrap. Layer the peeled peppers on the middle of the sheet. Keep these individual packages fairly small to keep them fresh in the freezer. The reason we put the peppers into small tube shaped portions is to reduce the freeze-thawing that occurs when you use a small portion from a huge frozen block of peppers. I did that last year. It was not easy to defrost just enough to use without reducing the food value of the remaining peppers. This is a better idea! When you need roasted peppers in a recipe remove a single pre wrapped tube from the frozen ziplock bag pack and use only what you need. 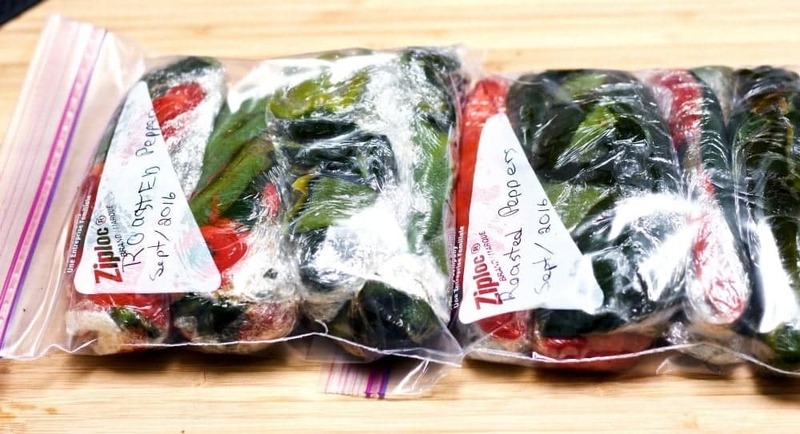 Rewrap the unused frozen roasted peppers and get the unused portion back into the freezer bag and freezeer. This way, You are protecting the flavor and nutrients of the peppers. Roll the peppers into the plastic wrap. Squeeze out the air as you roll them up to avoid freezer burn. It should be shaped like a hot dog. STACK the tube shaped saran wrapped pepper packages (as shown) together tightly into quart sized freezer ziplock bags. Air is an enemy in the freezer. It dries the peppers out and gives them freezer burn. Stack the individual rolled plastic tubes of peppers into quart sized bags. Squeeze out the air between the tubes. Label your freezer bags and freeze. 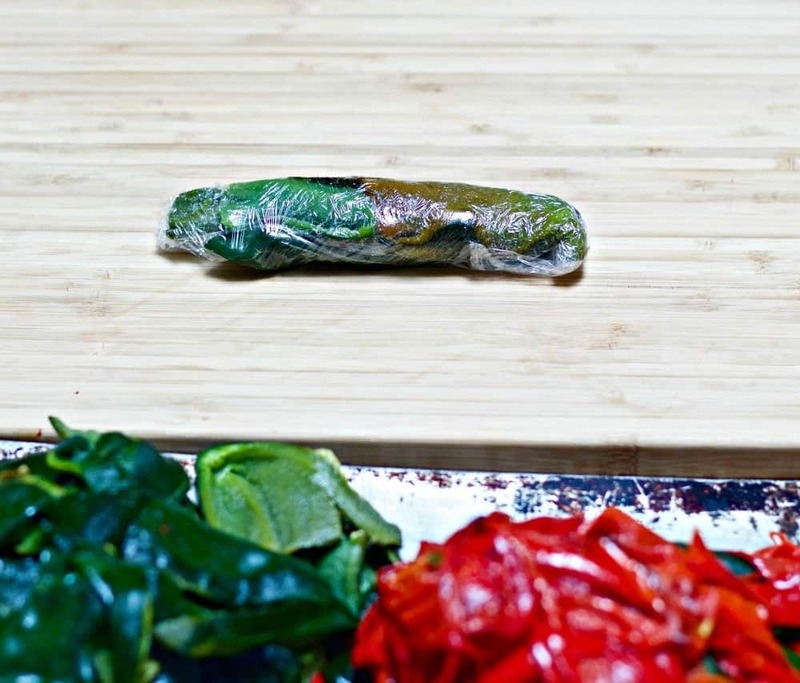 Remove one saran wrapped tube of roasted peppers at a time from the freezer bag. Unwrap it. Rewrap the unused portion in plastic wrap and return it to the freezer bag. Return the freezer bag to your freezer for future recipes. 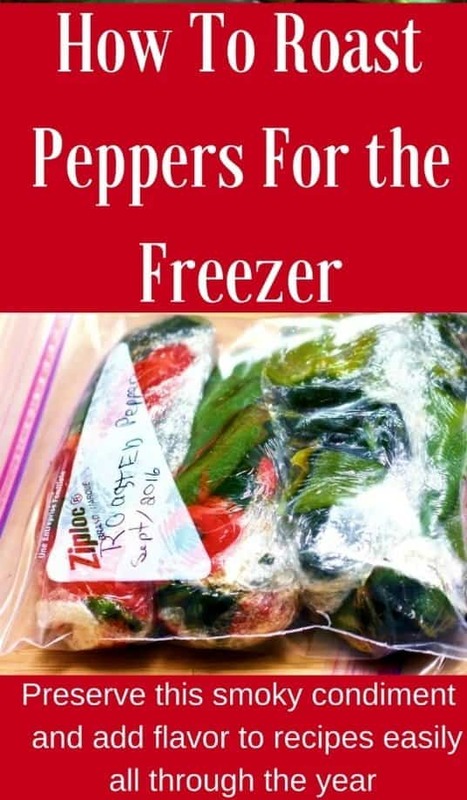 The frozen peppers can be thawed in the microwave or just add them frozen into crock pot, soups, stews, and casseroles. That’s How to Roast Peppers for the freezer. 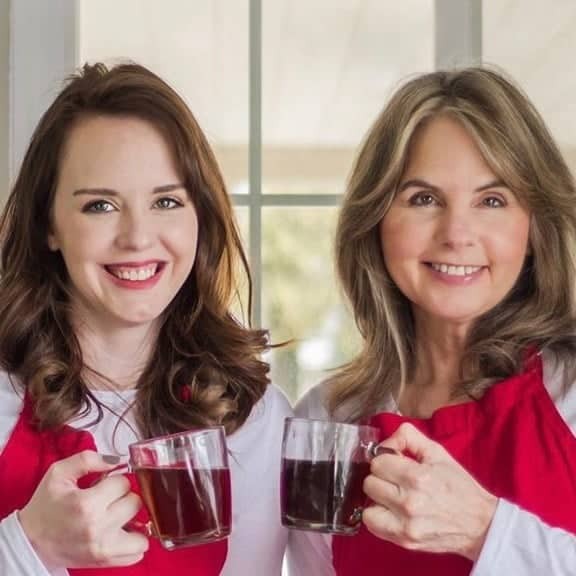 I hope you let me know in the comments how this works for you, what peppers you love to grow, roast and freeze, and which recipes you use them in. New ideas are welcome here. 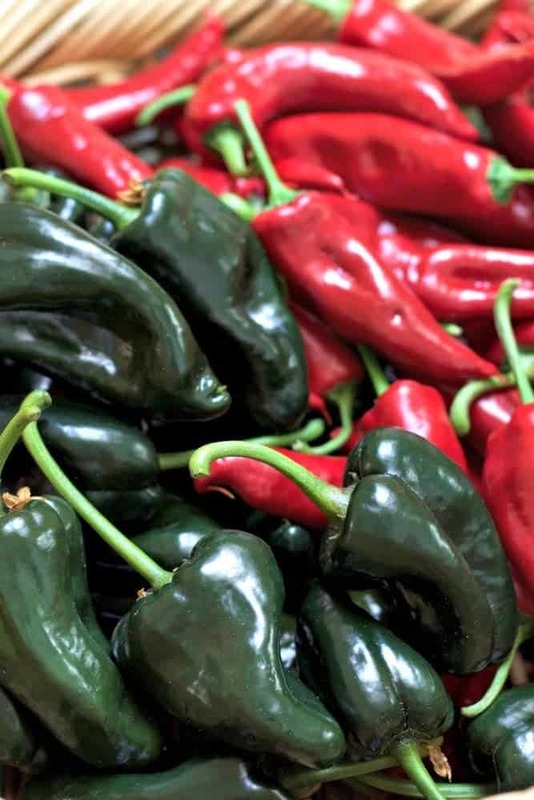 Very good tips for roasting peppers. Only thing….you mention ‘tubes’ but there is nowhere an explanation as to what are these tubes. Are the peppers rolled into a ‘tube’ of saran wrap or wax paper? Explain please! I have reworded the sections that are discussing the packaging of the roasted peppers for you. I hope this clears up any confusion you have. Quick note:PLEASE do NOT use wax paper. 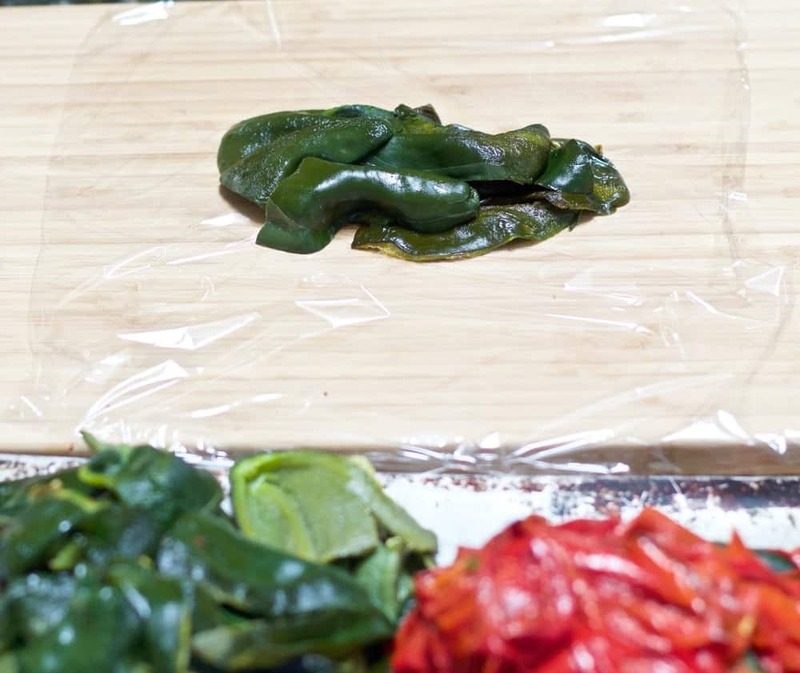 The post calls for plastic wrap so the peppers can be tightly wrapped, airtight, easily in small amounts. This is necessary to keep air out of the frozen peppers. Wax paper will not protect the peppers quite as well. Putting the small packages into heavier ziplock freezer bags add more protection from freezer burn and keeps those little packs easy to find.